Whether it is in San Francisco or in the two-hour-flight-away Berlin, the Kosovar audience does not possess the means to jump on a plane and follow tech-conferences to listen to world-known speakers. It is DOKU.TECH who brings that opportunity home. For the fourth year in a row, this highly-followed conference has gathered the enthusiastic tech-minds from each corner of Kosovo and the region and brought them together with great tech-thinkers, innovative technologies that are evolving the world as we know it in a rapid pace and amazing speakers from all over the world who came to discuss the opportunities and challenges technology continues to create. DOKU.TECH explores and challenges the social implications of technological innovations through connectivity, content, openness and security. The latest edition held this past weekend, August 5th in Lumbardhi Cinema in Prizren complemented perfectly the first edition held this year and the theme of Fear, Hope and Everything in Between. 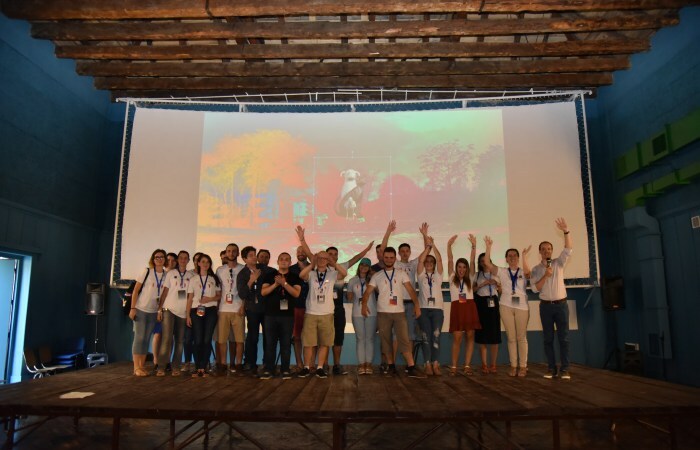 DOKU.TECH was held in the beautiful city of Prizren as day by day there is increased need for the decentralization of technological conferences and events. Having experts discuss current trends and future developments in not-so-formal venues such as Lumbardhi Cinema allows a whole new target audience to get a chance to be inspired and give back to our community. Lumbardhi Cinema, DOKU.TECH’s newest venue, is an important evidence and value of Kosovar cultural identity. In 2014, the Civil Society came together for the Initiative for Protection of Lumbardhi Cinema and saved the building from being torn down and ceased the process of privatization. Lumbardhi cinema is a rare and valuable building, part of Kosovo’s cultural heritage. This edition our speakers discussed various topics starting from learning how to stay true to your brand in many different ways and situations, to creating things that influence the world at least a little bit, to talking about technology without actually talking about it, and continuing with discussions about two contrasts of being location independent and reinforcing your ties with your home country, came together perfectly at the second talk track. Our speakers both international and local brought perfect balance and colorfulness to the table. Between the talks, the mind-blowing VR games at the Demo Area and the workshops and masterclasses, the DOKU.TECH audience got the perfect sense of what technology allows us to do – and how much fun it is doing it! This Saturday allowed us to hack fears and stream hope. Thank you for being part of our beautiful digital family. Until the next year, the next DOKU.TECH, and the next technologies and innovations to thrive in.